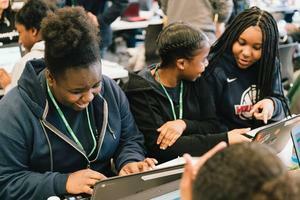 Prospect Hill Academy has earned the College Board's Advanced Placement (AP) Computer Science Female Diversity Award for attaining strong female student representation in AP Computer Science Principles for 2018. Among the more than 18,000 secondary schools worldwide that offer AP courses, PHA is one of only 4% that have achieved this important honor. 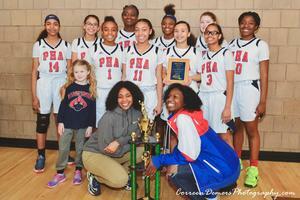 Prospect Hill Academy is proud to announce that the varsity girls basketball team triumphed in the MCSAO state championship held on March 8th against Pioneer Charter School. The final score was 58-33. Congratulations to all the players and coaches on a fantastic end to a perfect season! It is with deepest sorrow that we mourn the loss of Samaya “Maya” Belizaire-Arrendel, one of our precious 12th grade students. 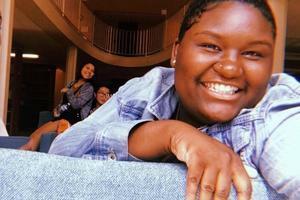 Samaya entered the PHA community in Kindergarten, and ever since then she filled our school with her contagious laughter, sense of humor, and unforgettable personality. Her kindness, joy, and fierce determination in the classroom, and on the athletic court, will always be remembered at PHA. She was beloved by all who knew her, and her legacy will live on. We feel fortunate to have had the honor and privilege to teach, coach, and befriend Samaya. We send our heartfelt condolences to her family, teachers, classmates, friends, and coaches. We continue to offer emotional support and counseling to our entire community. Please contact your campus counselor for more details on support. 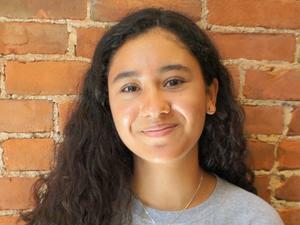 PHA is proud to share the news that senior Juliana Rivera was selected as one of approximately 200 students across the U.S. to participate in the highly selective Windows on Williams (WOW) fly-in program.